A five day holiday club programme for children aged between 5 and 11 based on the story of Joseph. Children explore the story and discover some key truths about God. The programme contains drama, craft, games, teaching and more. There is also help and guidelines on running a holiday club for anyone who is unsure how to begin. 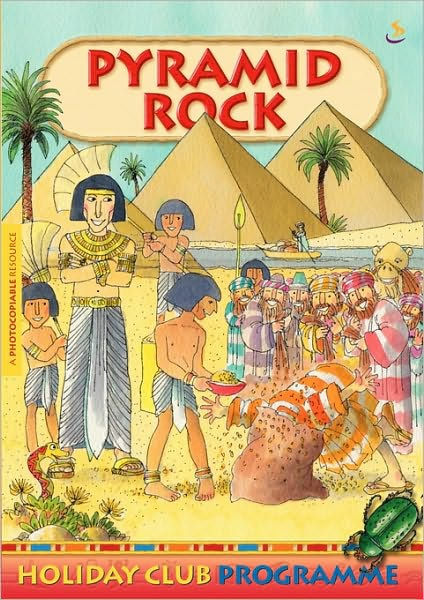 Pyramid Rock by Dave Godfrey was published by Scripture Union in November 2005 and is our 12374th best seller. The ISBN for Pyramid Rock is 9781844271399. Be the first to review Pyramid Rock! Got a question? No problem! Just click here to ask us about Pyramid Rock.